In this quick guide, we will show you how to buy bitcoin with Interac Online safely and easily. We list exchanges that accept the payment, listing out their verification requirements, trade fees and security functions. Register an account at the exchange of your choice (Canadian Bitcoins). Verify your identity if the platform demands so from you (optional for higher limits). 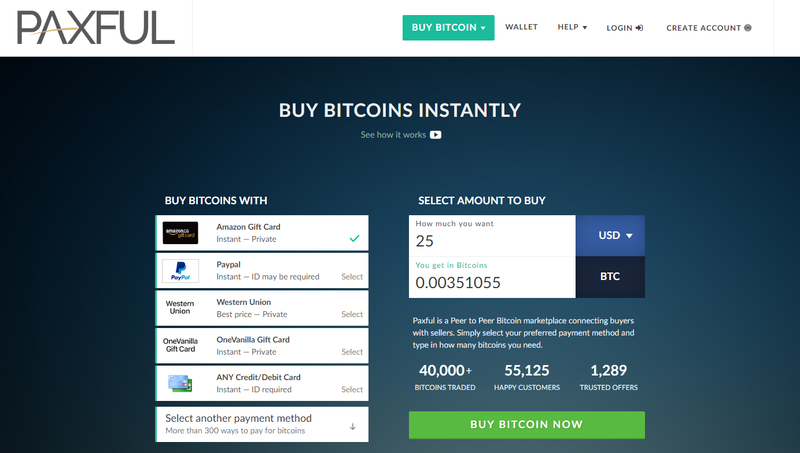 Go to the “buy” page and fill out the purchase form, stating the amount Interac Online of BTC you wish to get. Choose Interac Online as a preferable purchase method and verify your bank account. Go to your online bank account and search our Interac Online transfer option. Fill out the online payment form with details provided to you by the chosen exchange. Finish the process by selecting “Send Money” and wait until coins land on your exchange’s balance. Withdraw coins to your cold storage wallet. 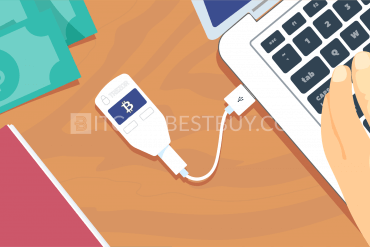 We would recommend you to get hardware wallets, such as Ledger Nano S, TREZOR or KeepKey. If you have been in the cryptocurrency industry for some time, most probably you came across money transfer system called Interac. The system offers numerous benefits and features for its users, especially in terms of cryptocurrency trade. 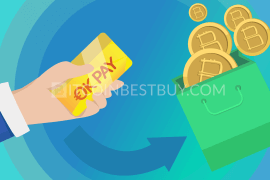 Thus, we made a review of the payment system in terms of bitcoin purchase. We also give the information about the exchanges where Interac is available and at the end of each review, we propose pros and cons of each platform.The main purpose is to provide you with an easy tool to compare the companies and choose the best available option for you. Interac Direct Payment (IDP): the IDP is a debit card service, allowing users to pay online and offline services using cash deposits into the card. The fees are flat, usually lower than $1, offering quite a low-cost structure when BTC trade is considered. Shared Cash Dispensing (SCD): the system allows users to use ABMs that do not belong to the cardholder of Interac products. This is quite a good service to have in mind, as almost all ABMs include Interac as an available payment method. Interac Email Money Transfer: offered by CertaPay, the product allows Interac users to send and receive money using an email address and Canadian bank account. 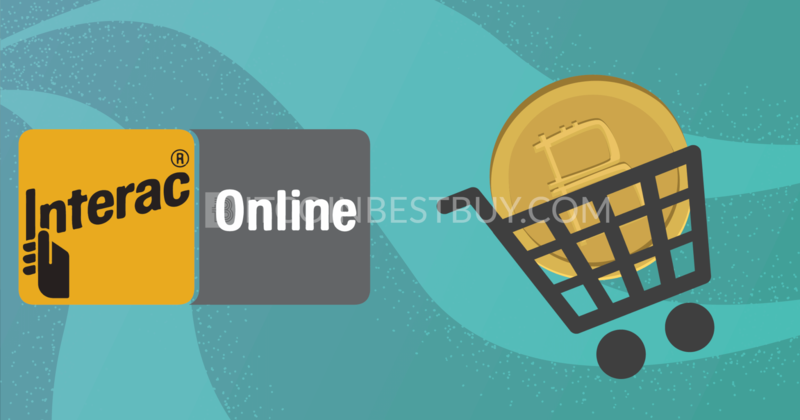 Interac Online: perhaps the most popular product, Interac Online offers to buy products and services using their bank accounts. The bitcoin trade is thus mostly offered through Interac Online, as it speeds up the process of transfer while keeping the costs low. The fee structure is on the same level with cash and debit cards, since you pay between $0.015 and $0.765 for transfers made online. You do not need to register an account at Interac. Almost all Canadian banks have Interac as part of their services, so all you have to do is to find the Interac Online debit card issuance page and use services from there. There are numerous exchanges available for Interac users when it comes to bitcoin trade. These companies vary in terms of verification requirements, fee structure, security features and volume liquidity available. The ones reviewed by this quick guide are those we deem safe to use as of yet. New platforms might be opened in the near future, though you should be careful to leap at the chance as many turned out to be scams. 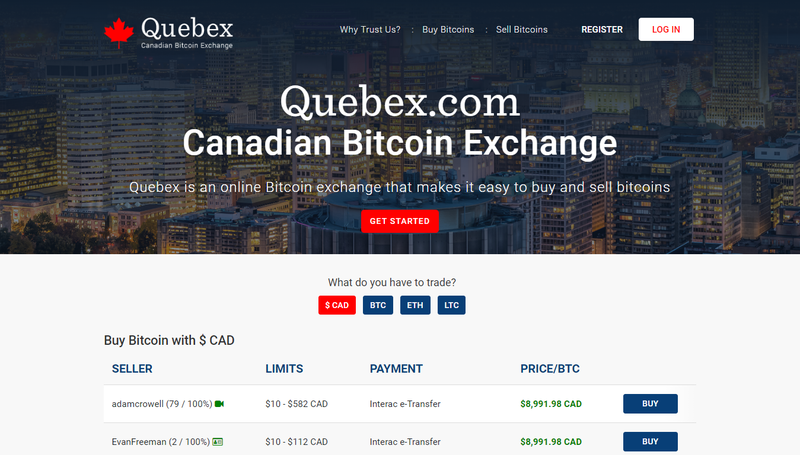 The listed exchanges are HappyCoins, Quebex, Paxful, mBTC, Canadian Bitcoins, Anycoin Direct, QuadrigaCX, Bitbuy.ca, Coinbase, QuickBT, Bitaccess, MyBTC.ca and LocalBitcoins. 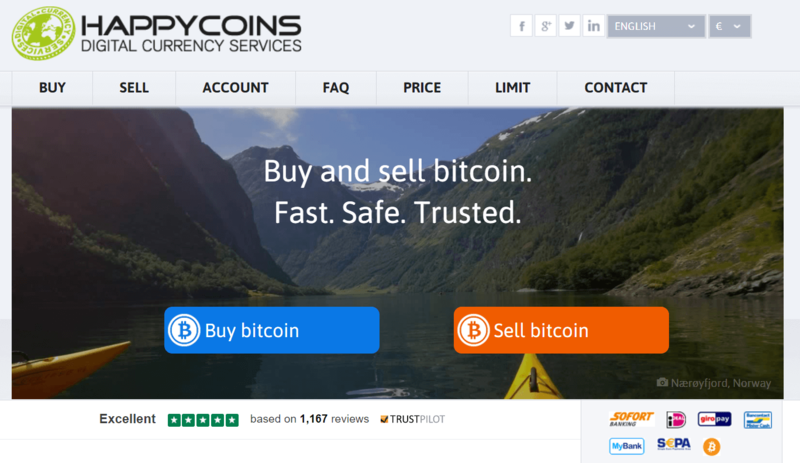 HappyCoins is a Netherland-based platform where you can purchase coins using Interac Online, expressed in EUR only. The platform offers mild verification requirements, as you have to provide personal details and bank account verification. There are no security features available for traders to use since all coins are automatically sent to the wallet address that you have provided. coins immediately sent to your wallet address. no security functions available, such as 2FA. domestic platform with CAD being the main fiat currency of trade. Paxful is a peer-to-peer (P2P) platform where traders can buy and sell bitcoin between each other in a single marketplace. The security of the market depends on the individual investors, as there are no verification methods nor standardized purchase process to follow. Each seller has his/her own trade requirements that buyers should agree prior to the purchase. Thus, many scams have been reported in the past, especially from unverified accounts. The only security option available for you is two-factor authentication (2FA), which we deem inadequate. On the side of fees, you have 1% that sellers pay though buyers are charged that percentage through BTC price. Interac has two products available from bitcoin traders to use, them being Interac e-payments and Interac Online. sellers compete with one another when offering coins for sale through price reduction. Interac options not popular at Paxful. mBTC Shop is another Canadian exchange that offers bitcoins through Interac e-Transfer and Flexepin. 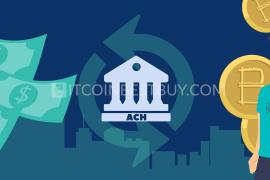 At the beginning stage, you have to provide an email address and phone number only for trade to take place while ID check comes later on if you wish to achieve higher deposit/withdrawal limitations. Current limits stand at $1.000 daily and $3.000 monthly limits. Fees stand at 7.5% of the purchased value while 2FA and communication encryption are available security measures. one of the higher purchase limitations for unverified users in the market. ID scan might be needed in the future. 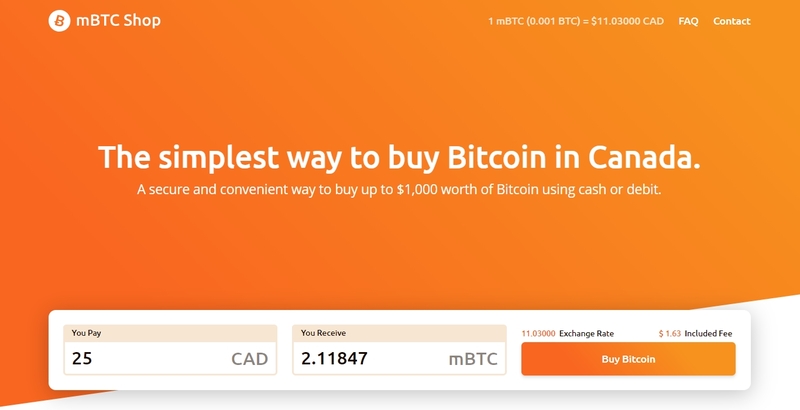 Canadian Bitcoins is perhaps the biggest P2P marketplace that is based in Canada, offering coins with the help of Interac e-Transfer and Interac Online. All Interac payment methods are conducted for free, meaning that you only have Interac fees to worry about, which are very low. Verification is not needed for trade to be conducted and coins are sent directly to your address code. 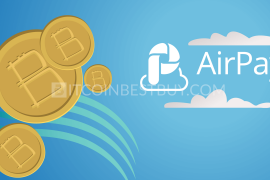 Anycoin Direct opened its service in Canada in 2015, offering Interac payment methods for bitcoins. Since the expansion, the only available option for Canadians is Interac Online, with fees standing at 1% approximately. For purchases of above $50, you would need to verify your phone number, in addition to the email. Full verification is needed only if you wish to speed up the transfer process of the coins to your desired address location. low transaction fees for Interac Online. transfers might take more than 2 business days to complete for unverified users. With an office in Vancouver, QuadrigaCX offers bitcoins though Interac Online and Interac e-Transfer funding methods. The Interac e-Transfer fees stand at 2% + $5 while Online option costs 1.5%, with minimum purchase amount being $5. 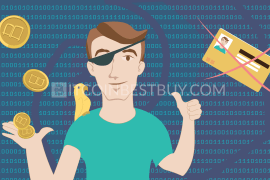 In both cases, you have to provide scanned ID and proof of address in order to buy bitcoins. Interac Online is carried out instantly. somewhat high fees for deposits and withdrawals. 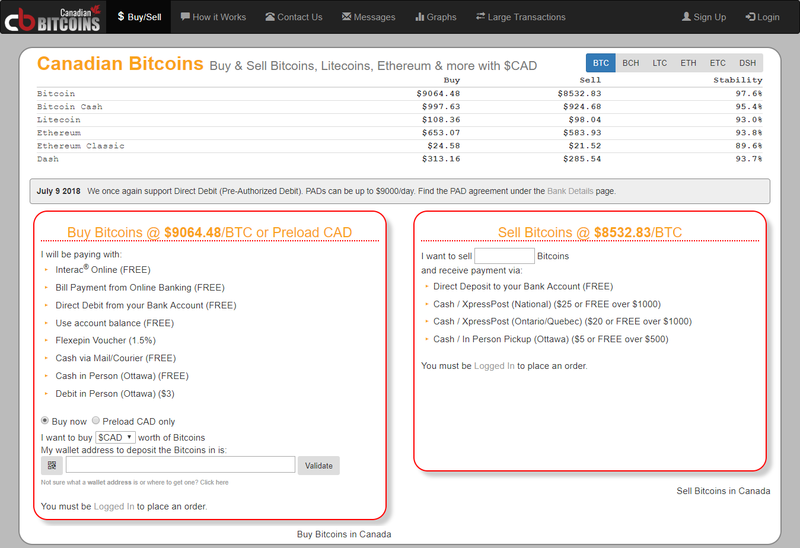 Bitbuy.ca is yet another Canadian exchange that offers Interac Online and Interac e-Transfers when buying bitcoins. The company follows strict AML and KYC policies, demanding from traders to provide scanned ID or driver’s license, bank statement and a selfie of you holding the ID. Fees stand at 4.95% of the trade value, which is quite expensive when compared to the industry. transfers expressed in domestic currency, CAD. high trade fees of 4.95%. 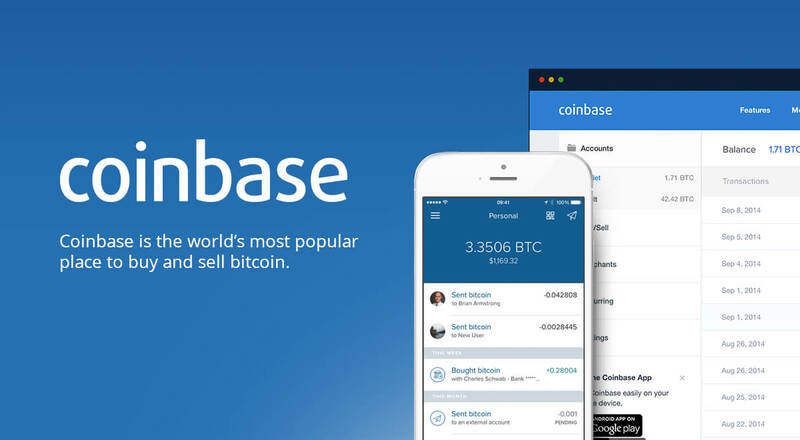 Coinbase is one of the largest bitcoin exchange platforms in the world, accounting for over $50 billion of coins worth of transactions. 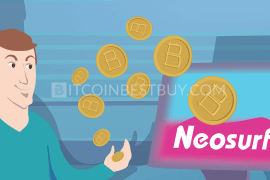 Canada is one of the 32 countries supported by the company, offering Interac debit card as one of the purchase methods available for traders to use. This comes after several credit card providers have stopped their services in the crypto industry, which pushed Coinbase to make a statement regarding debit cards for Canadian clients. You are expected to provide your personal documents as a mean of identity proof due to the firm following strict anti-money laundering (AML) and Know Your Customer (KYC) policies. The fees for Interac debit card purchases stand at 3.99%, as with other credit and debit cards, putting the exchange on the higher end of costs in the industry. Security functions available for you are 2FA, email notifications and IP address whitelist. 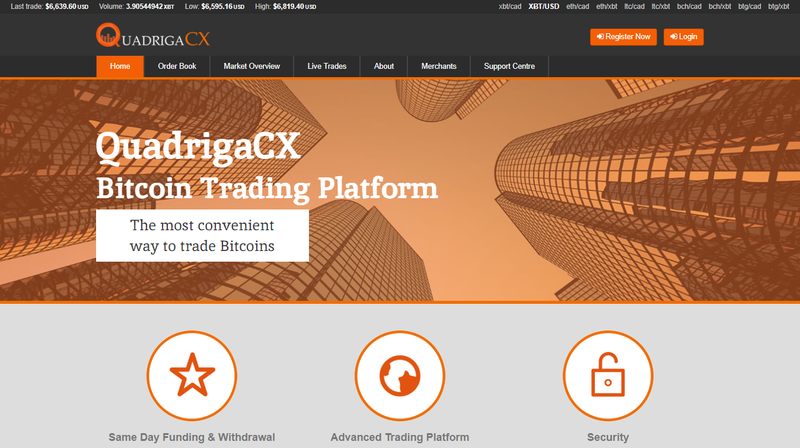 The company also offers GDAX (Coinbase Pro) for margin trading for those interested in more complex services, though Interac is not available as a funding method. GDAX available for margin trading and additional BTC sourcing. options like Interac Online not available. 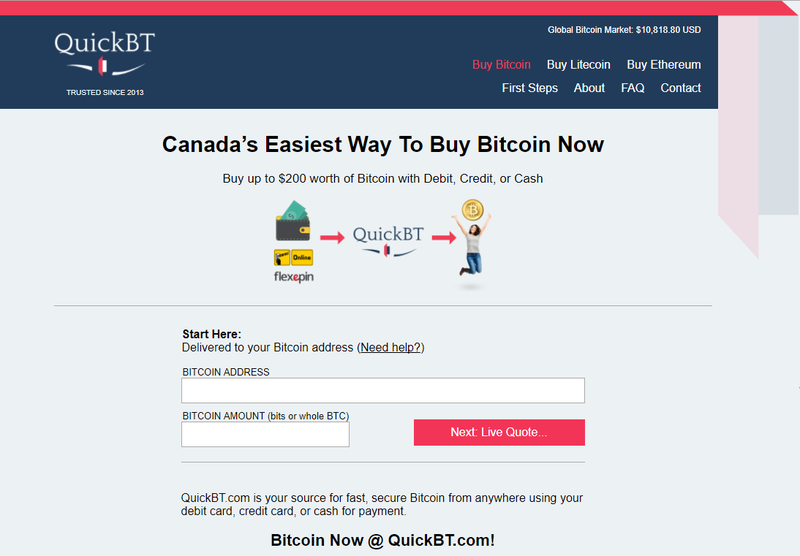 QuickBT is one of the most convenient exchanges in Canada when it comes to anonymous purchases of bitcoins. The said platform does not offer registration for its users and rather orients on instant trade. The available method is Interac Online, which is conducted instantly while the only info you have to provide is wallet address. cash and debit cards available. fees not shown transparently but are part of the BTC price. 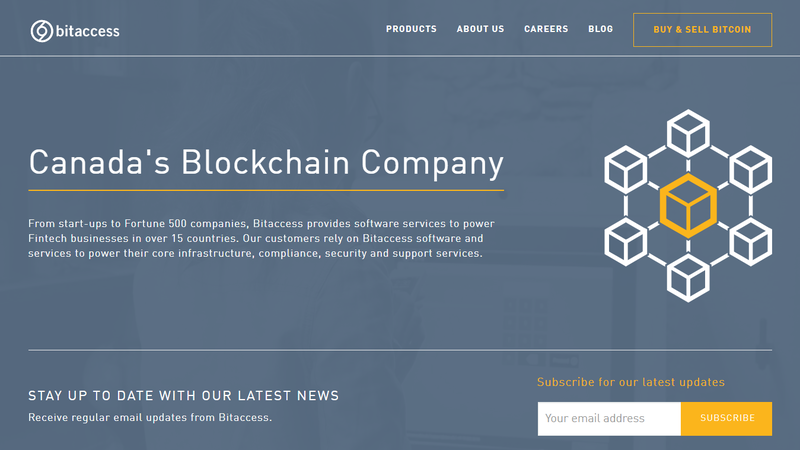 Bitaccess acts as a locator for merchants and buyers to communicate and purchase/sell bitcoins between each other. An important distinction from other P2P platforms is that merchants are actually BTMs. You put the volume you wish to purchase and exchange offers the nearest machines for you to use. Interac cash and debit cards are accepted purchase methods, while fees differ from teller to teller. 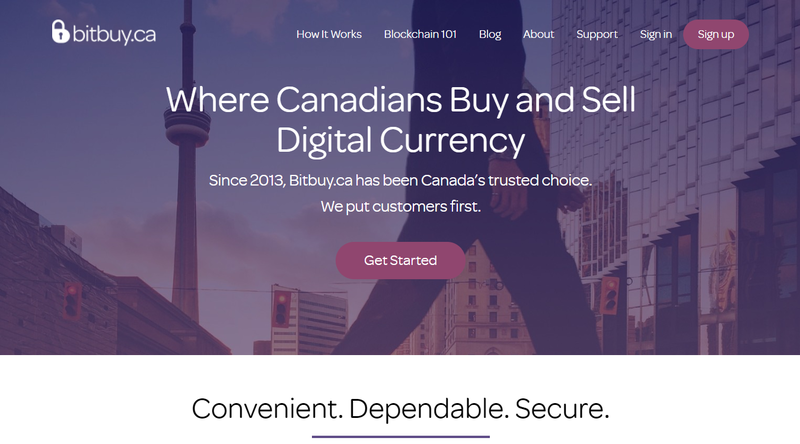 a large number of BTMs in Canada. service hours do not always represent the real situation. LocalBitcoins is a P2P platform and one of the biggest competitors to Paxful. 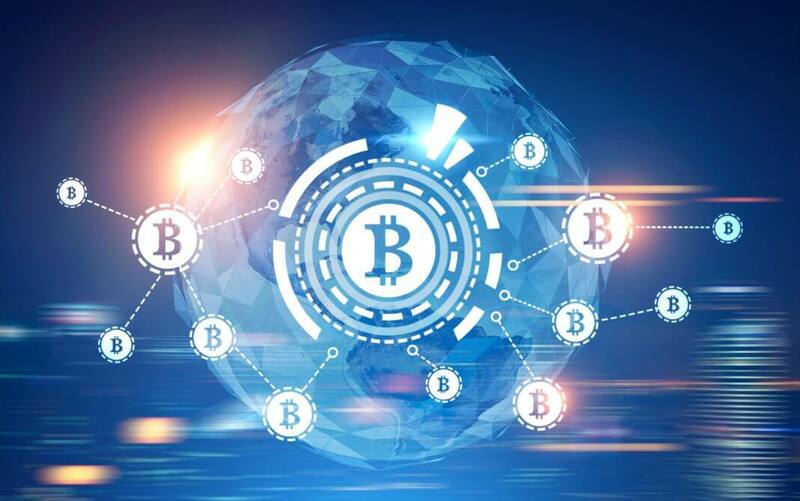 The market has been dubbed as one of the most popular places where bitcoins can be purchased with numerous payment methods that are available, Interac products included. 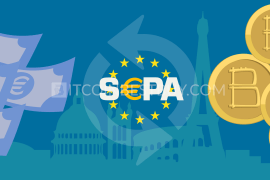 The availability depends on the number of sellers dealing with the BTC trade. Currently, you have Interac e-Transfer and Interac Online as available options. LocalBitcoins beats Paxful in terms of Interac offers in the market, as most Canadian sellers with Interac bank transfers. Transaction costs stand at 1% while verification depends on the individual traders. Thus, scams have been recorded in the past and are still part of the marketplace. Make sure you work with people with positive history and grades, as to avoid unpleasant situations. As for the security, you pretty much have only 2FA to protect you when your BTC balance is in question. a large number of ads that allow Interac payment methods. only 2FA available as a security measure. 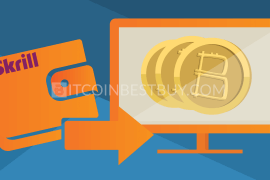 MyBTC.ca offers instant access to bitcoins with the help of Interac Online purchase method. The option would cost you 6.75% though, which is quite a high-cost rate when compared to other options. On the other hand, if you plan to work with only $750 daily, ID is not needed. Above that number and you would need to complete full verification of your identity. When considering different places to buy BTC using Interac, there are several things you should look beforehand. Firstly, you need to make sure exchange is compliant with your privacy requirements, as many would demand from you to provide them your scanned ID and proof of address. If you do not mind, many platforms would be at your disposal. Second, you should check fee structures, since companies differ in terms of costs they charge when transferring bitcoins to you. 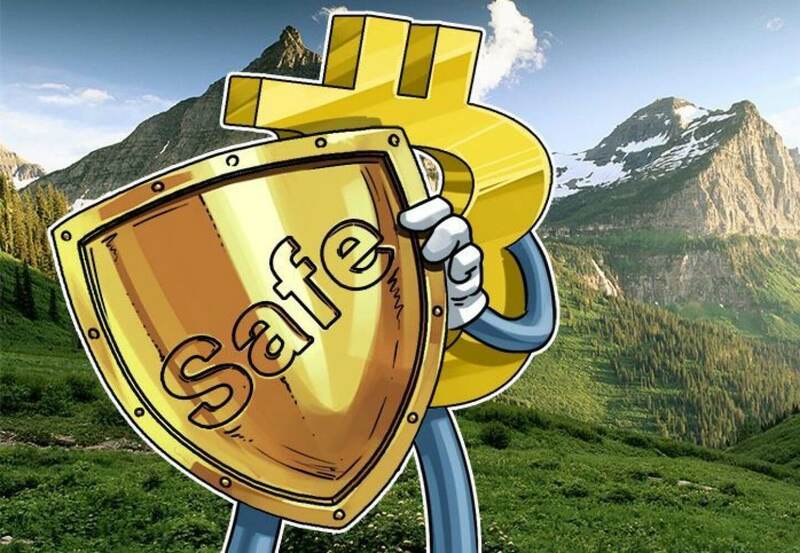 Lastly, check out the security features and history of the company, to be sure you have a safe place to work with when buying BTC. There have been many hacking incidents in the past and situation is not about to change. Thus, a reliable source is an utmost priority for you find. 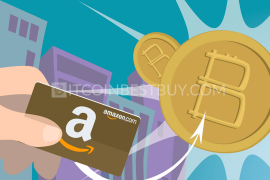 Do visit us at BitcoinBestBuy should you have questions regarding Interac bitcoin purchase that has not been answered by this review.